When procuring components, it’s important to pay attention to packaging type. Most component distributors offer the same components in a wide variety of packages to accommodate different pick-and-place loading preferences. The main options are: cut tape, reel, tray, tube, and batch. Each packaging type has its benefits, though it can be difficult to determine which type of packaging is the most appropriate for a certain job. Cut tape and reel both deliver components into the pick-and-place machine via a tape that contains components (usually small ICs). However, the main difference is the tape’s length. “Cut tape” delivers components in small cuts of tape, while “reel” is long, continuous, and wound up in a reel. While their use depends on what kind of board is being assembled, reel is generally a better, more frequently used option. The biggest benefit to reel packaging is time. Instead of having to load 20 individual strips of tape, reel only requires an operator to load a feeder once and allows for one continuous feed. Moreover, quality standards require operators to inform quality control (QC) personnel every time new components are loaded into a machine. According to lean principles, this is wasteful. Reel also allows operators avoid jamming. Cut tape can sometimes jam in the feeder, while reeled components tend to avoid jamming. However, cut tape is absolutely necessary when only a small number of a certain kind of component is required for the board. This is important to keep this in mind during the procurement phase. While cut tape and reel packaging tend to be the most commonly utilized, there are still a number of other component packaging types available. Lets take a brief look at two other options, in order to make the best packaging decision for your particular line. Trays are often used with larger surface mounts, such as QFNs and BGAs. 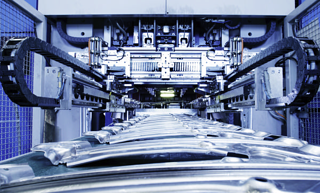 Trays demand less attrition, as larger components are far more expensive. Tubes are used for more protection while the components are being shipped, though they generally carry fewer components. Sometimes component are only available in bulk, which means they are loose parts and aren’t specially packaged for manufacturing. Components are purchased in bulk for two reasons. Either the component is last-time-buy, which means a shop wants to stock up on a particular component, or the component simply isn’t available in specific packaging. In these rarer situations – and with enough time – manufacturers can send the batch components out for the packing of their choosing. But this is costly. It’s always best to find prepackaged components.